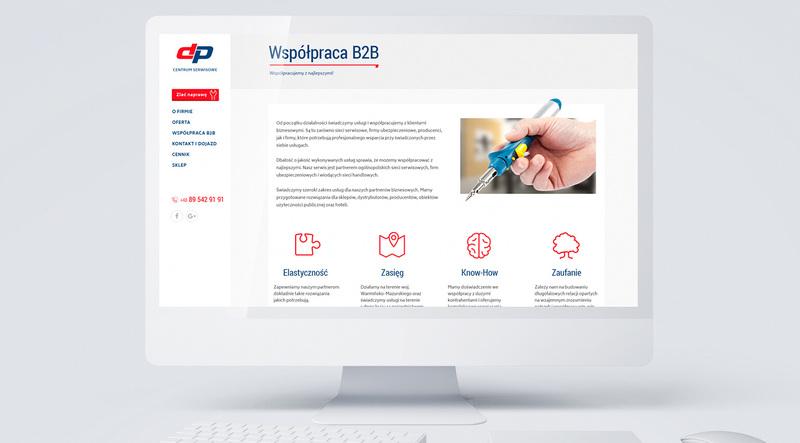 The DP Service Centre runs its activity in the whole Warminsko-Mazurskie Voivodeship. 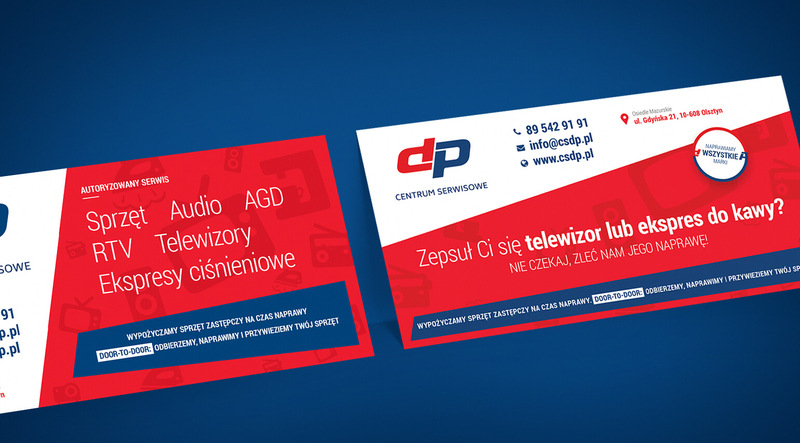 The owner of this authorized electronic equipment service asked us to design an advertisement leaflet. A small order turned into a permanent cooperation. 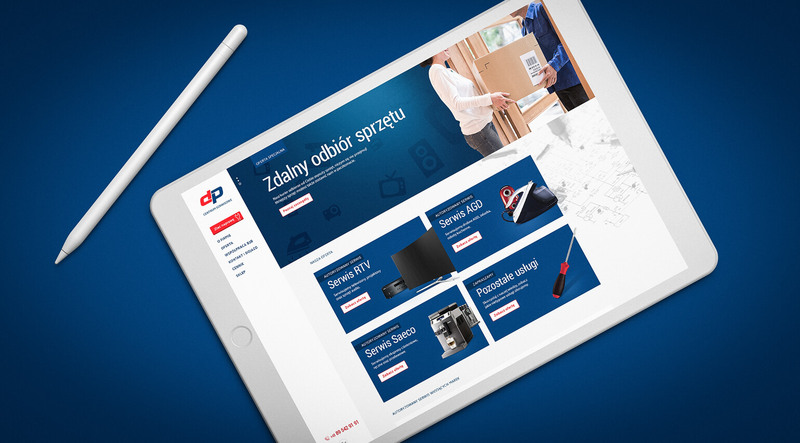 We have not only created a variety of advertising materials for our customer, but we have also refreshed the logo and designed a new website that allows to order the repair of any device online. The responsive website designed by us is modern and functional. The site is based on WordPress management system, which allows you to edit content yourself and add new subpages and special offers. The website also contains a special repair order form, in which the customer can request a service of broken equipment. The responsive website allows easy browsing from mobile devices. During the work on the website, we also refreshed the logo in order to make it more modern. We have also designed elements of visual identification, which have not been coherent so far. 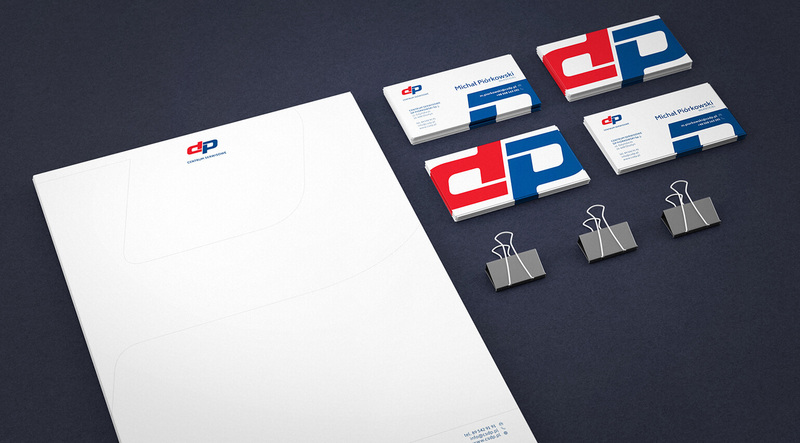 We have also created letterhead, business cards and e-mail footers based on the refreshed logotype. We have also created graphic designs of outdoor banners, which are an offline advertising medium in front of the company’s headquarters. And also an advertising banner placed in elevators on large housing estates. Banners are consistent with the company’s visual identification. We used graphic elements also used on the website.